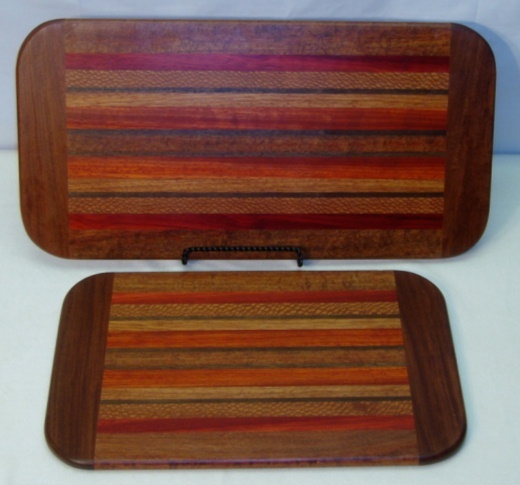 Large & Medium Multi Color Boards (sold separately). Wooden serving boards. No home should be without one (or more). 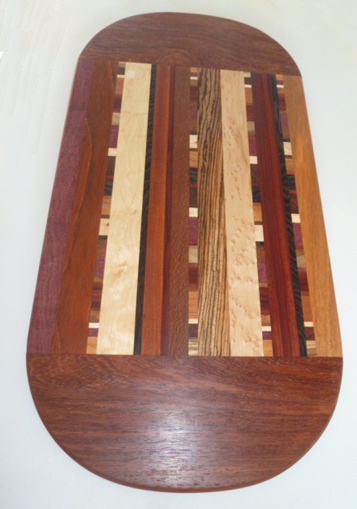 We offer these extremely popular serving boards in several different sizes and patterns. Check out our new "Crazy Quilt" board, like its cousin the Multi Color board, just a little crazy. 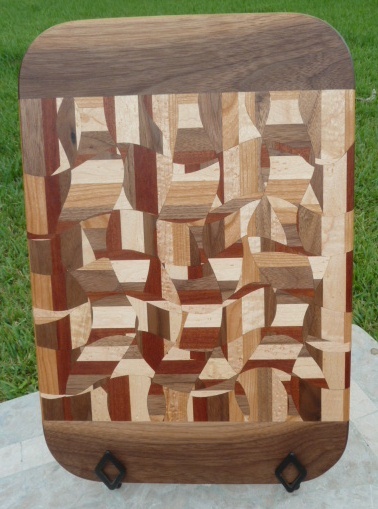 Or jazz up your table with the detailed inlay of our new Fancy Inlay board.